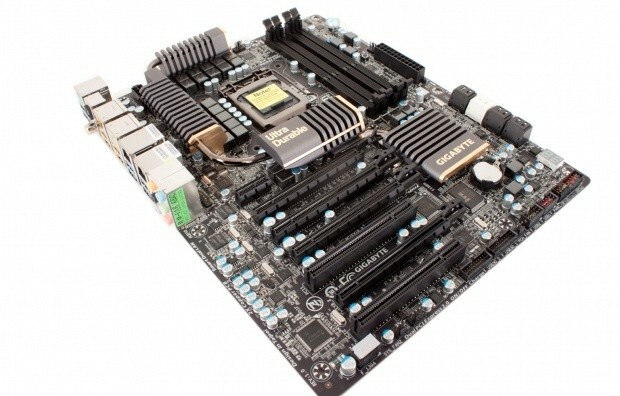 The P67A-UD7 from GIGABYTE has raised many questions. The product is clearly an almost complete redesign from their typical high-end layout. Gone are things like the Silent Pipe II cooling system and the 12 phase power that we had seen before. Now we are seeing a much more “brute” force attack on performance and also in design. The overall effect of the board is of something new from GB. The black PCB, slots and even the new gold and black cooling suggests performance and power. To read the full article, please visit TweakTown HERE.